Happy Spring to everyone! We are in our fifth month of dry season and things are looking mighty dry here. The good thing is that after about a week of rain, it will be green again. 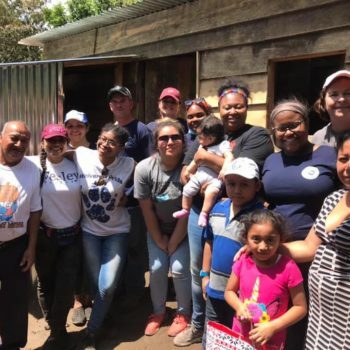 We had a team the first of the month and they built one house in El Rodeo. They also visited with a school, Wisdom and Grace, that they have been helping with for many years. 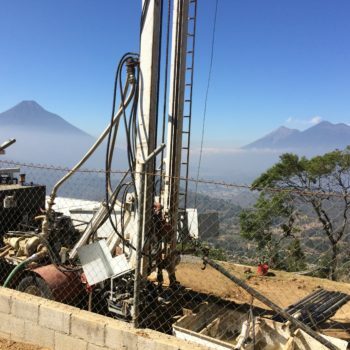 Bob and Rob have been drilling a water well in San Bartolome. A community across the road from where we live in San Lucas. It will be for a retreat / outreach center. It is on top of a mountain and Bob has encountered many obstacles in this endeavor. On the first location on the property, they drilled down to 210 feet and after lots of problems, no water. They moved to a different location on the same property and have made 190 feet progress, and that not without problems. We are trusting God in this matter. Tomorrow, we have Pastor Harold Hanks and his team coming. They are going to build 2 houses, and give food bags to 30 families.